A commemorative anthology, The Great War 1914 – 1918: The Kingdom of Serbia, the United States of America and the Serbian American Diaspora will be presented within the framework of the Serbian Movie Festival by His Grace Bishop IRINEJ of Eastern America and Dr. Krinka Vidakovic Petrov, Scholar and Editor, on SATURDAY, MARCH 30, 2019, beginning at 1:00 PM, at the University of Pittsburgh, Cathedral of Learning Room 232, at 4200 Fifth Avenue, Pittsburgh, PA 15260. The book is dedicated to the Great War, an event that shook the world one hundred years ago. Within this vast historical frame-work, this book focuses on the relationship between two Allies—the Kingdom of Serbia and the United States of America, including the role of the Serbian American Diaspora. The chapters in this book deal with general issues regarding Serbia’s role in the Great War, beginning with the event that would trigger the war and put the small town of Sarajevo on the world map. This book offers a wealth of information as well as a fascinating narrative of the human urge to resist, survive, and be free to live and love. Copies of the book, an invaluable addition to any library, home or public, will be made available for purchase. Information found in Sloboda, March 10, 2019, Vol. 67, No. 3. BOOK REVIEW: The Great War 1914-1918. The Kingdom of Serbia, the United States of America and the Serbian American Diaspora / Велики рат 1914-1918. Краљевина Србија, Сједињене Америчке Државе и српска дијаспора у Америци, ed. by Krinka Vidakovic Petrov, Alhambra, CА, Sebastian Press, Series Serbica Americana No. 9, 2018. The Great War 1914-1918: The Kingdom of Serbia, the United States of America and the Serbian American Diaspora edited by Krinka Vidakovic Petrov stands out in the series of publications that appeared within the framework of the commemoration of the end of World War One. This bilingual study consisting of texts in English and Serbian was initiated and sponsored by His Grace Irinej, Bishop of the Eastern American Diocese of the Serbian Orthodox Church, and published in 2018 by Sebastian Press in Alhambra, CA. The reason for its publication was an important anniversary in Serbian-American relations: one hundred years since the administration of American President Woodrow Wilson, guided by the wish to express respect for the suffering, sacrifice and heroic struggle of the Serbian people throughout the four-year period of aggression by the Central Powers, launched an Appeal to Americans to pray for the Serbian people on July 28 of 1918 proclaimed as Serbian Day in America. The first presentation of this book took place in Washington, D.C. in July of 2018 at the events dedicated to the commemoration of this anniversary organized by the Eastern American Diocese of the Serbian Orthodox Church and supported by Serbian American organizations. Krinka Vidakovic Petrov stated that she edited this book as a contribution to the collective and public memory of World War One, from which the USA emerged as a world power, while Serbia played a key role in the redrawing of the map of the Balkans, participating in a crucial way in the establishment of the Yugoslav state. The over 500 pages of this book bring together 38 contributions of historians, philologists, political scientists and other authors dedicated to the research of relations between the Kingdom of Serbia and the United States of America, including the important role of the Serbian America Diaspora in World War One. The first chapter titled Serbia in the Great War presents contributions of outstanding Serbian historians, M. Ekmecic, A. Mitrovic, M. Radojevic, Lj. Dimic, A. Zivotic, and S. G. Markovic who discuss landmark events from the Sarajevo assassination (1914), the evacuation of the Serbian army and part of the population across the Albanian mountains, the revival at Corfu and the breakthrough of the Salonika Front, up to the creation of the Kingdom of the Serbs, Croats and Slovenes (1918). The second chapter is dedicated to the political and diplomatic relations between Serbia and the USA, especially after America joined the war effort in April of 1917 and the arrival of the Serbian envoy Ljubomir Mihailovic as head of the Serbian legation in Washington. The contributions of D. Zivojinovic, U. Ostojic Fejic, A. Dragnich, M. Kocic, and St. Stamenkovic show that these two countries were not only geographically distant, but differed substantially in their social, historical, political and cultural development. Unlike American public opinion, the American administration did not display interest in Serbia in the first years of the war. The works of D. Zivojinovic and U. Ostojic Fejic show that the change in the official US position regarding Serbia was indirect and that based on considerations and concerns for the future of Austro-Hungary. American President Woodrow Wilson supported Serbia diplomatically and financially, rejecting at the same time the break-up of Austro-Hungary. Only in the middle of 1918 did he definitely decide to back the principle of self-determination and thereby accept the Serbia’s war goal - unification in the Kingdom of Serbs, Croats and Slovenes. The third chapter is focused on the role of public opinion in the war effort of Serbia and the USA, the process of forming the image of Serbia in American public opinion during the war years, advancing from the initial lack of interest to strong sympathies. D. Zivojinovic, I. Dobrijevic, M. Ducic, A. Petrov, Sl. Kljakic, Lj. Toseva Karpowicz, K. Vidakovic Petrov and the author of this review researched this topic as well as the role of outstanding individuals in this process, especially that of Mihailo Pupin, Nicholai Velimirovich, David Albala and Nikola Tesla. According to Zivojinovic, Pupin was the best lobbyist Serbia ever had in the US. Pupin delivered speeches, published his opinion in key American newspapers of the time, sent volunteers and maintained correspondence with eminent individuals from American public life, explaining the problems and promoting the positions of Serbia. 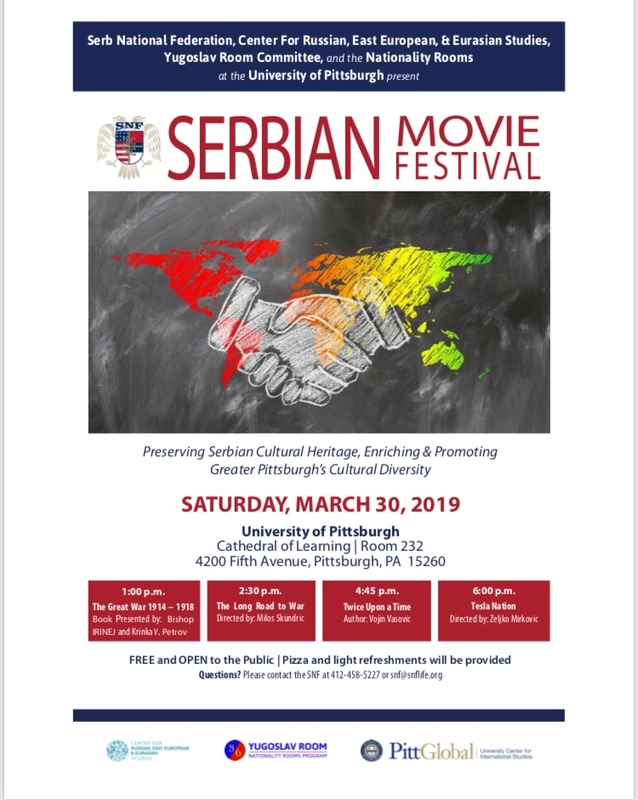 Serbian American organizations such as the Serbian National Defense, the Serbian Orthodox Federation Srbobran, the Sloga Federation and the newspapers they published, especially the American Srbobran, also played an important role in American and immigrant public opinion. Special attention is dedicated to the role of women in war, the Serbian heroine Milunka Savic and the American Ruth Farnam, who joined the Serbian Army as a volunteer. The fourth chapter brings together contributions dealing with Serbian war volunteers from America, who played both a military and a political role. 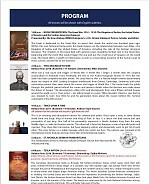 Contributions by K. Vidakovic Petrov, M. Micic, P. Vajagic, I. Petrovic, and D. Babac shed light on the development of the volunteers’ movement in the United States, patriotism, personal tragedies, the courage of the volunteers, and the importance of their support in the defense of the Serbian people and the establishment of the Yugoslav state. An important topic that attracted the attention of Serbian historians as well as those dealing with medical history is the American humanitarian effort in Serbia during World War One – the work of the medical missions of the American Red Cross, Rockefeller Foundation, Sanitary Commission, and well known benefactors Mabel Grujic, Dr. Edward Ryan, John Frothingham and his wife Jelena Losanitch-Frothingham. This humanitarian effort is the topic of the fifth chapter. Contributions by U. Ostojc Fejic, N. Petrovic, T. Erakovic and M. And M. Secerovic shed light on these issues, while the article by M. Milkic discusses the role of priests in the Serbian Army during World War One. The editor dedicated the sixth chapter to eyewitness accounts of individuals who came to Serbia and were with the Serbian Army during the war years, the American journalists John Reed and Fortier Jones, the medical doctor Rosalie Morton, and Djordje Krstonosic, a Serbian American volunteer who first fought in the Serbian Army and later as a soldier in the American Army on the Western Front in France. Visual art is the topic of the seventh and concluding chapter focused on the unusual story of the American artist Malvina Hoffman and her works in support of Serbia. The book contains over one hundred illustrations distributed in an appropriate manner so the text is complemented by photographs of outstanding individuals, politicians, soldiers and humanitarian workers, distressing scenes from the front, and segments of documents and newspaper articles.